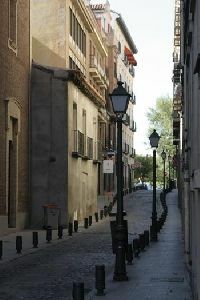 Close to the wonderful Plaza Mayor this district is the real ancient centre of Madrid. Here you will be able to get a glimpse of how the city developed from mediaeval times to the 20th century. Many parts of this district are a maze of narrow streets that end in squares. One of the most important is Plaza de la Paja, the heart of Madrid before the building of Plaza Mayor. Nearby you will find many busy cafes and restaurants, which are very popular, especially in the summer. Moving west from Plaza de la Paja, you will find Morera, the old Arab area of the city. The district is lively, and offers a great deal for both residential purposes and for leisure. You will find everything you need here, including the Rastro, Madrid's equivalent of London's Portobello market.